Sahodaran Ayyappan profile and biography is given here. Sahodaran Ayyappan was a great son of Kerala. The historians of Kerala would remember him as a social reformer, a journalist, a thinker and a politician. He tried to bring some landmark legislations to help the people of lower caste. This article is a humble effort my part to shed some light on the life and works of this great leader. Sahodaran Ayyappan was a social reformist and a politician from the central Kerala. Since he was a journalist and a thinker, he lent his voice to the cause of Sree Narayana Dharma Paripalana (SNDP) Yogam headed by Sree Narayana Guru. He is considered as one of the founding fathers of Trade Union in the state. Sahodaran Ayypapan was widely respected figure due to his impeccable personal integrity and selfless social works. He was a rationalist and disbeliever of the God. Because of these attributes, he never believed in religion, caste and color. For the last 15 years of his life, he stayed away from public and social life to focus on research on spirituality transcending the borders of different religions. Sahodaran Ayyappan was born on August 21, 1889 into a traditional Ezhava family. His parents were Kumabalathuparambil Kochavu Vaidyar and Unnuli. The birthplace of Ayyappan was Cherai in Vypin Island in Ernakulam district in Kerala state. Since he lost his father earlier in his life, he was brought up and educated by his elder brother Achuthan Vaidyar. After the initial guidance in education by his elder brother, young Ayyappan was enrolled in a local school for his formal education. On successfully completing the formal education, he got himself enrolled in Kozhikode-based Malabar Christian Collage for his pre-degree course. Later Sahodaran Ayyappan joined a college in Madras to do a degree course. However, he had to discontinue his studies over there due to his persistent illness. After a while, he decided to do a B.A. course in literature after accepting a friendly advice from the Sage Sree Narayana Guru. Accordingly, the young Ayyappan completed his B.A. degree from the Maharajah's College in Ernakulum. Continuing his interest in studies, he also took a B.L. degree from Thiruvananthapuram-based Law College. When Sahodaran Ayyappan was in Kozhikode during his college years, he began to speak in public platforms, asking the people to take up on the priority basis the reforms to uplift the living conditions of the neglected section of the society. During this time, Ayyappan happened to meet Sree Narayana Guru in one such meeting and shared thoughts with him. In 1916, he also met with the famous Malayalam Poet Kumaran Asan. As a result of these interactions, the revolutionary in him came of age and began to express it. A year after completing his degree, Sahodaran Ayyappan organized a Misra Bhojanam, a grand feast for all the members of the society, irrespective of their cast, creed or color. This feast was organized by Sahodara Sangham, and it was attended by about 200 people, including those from the untouchable Pulaiya community. As expected, the conservative class of the society, including Ezhava Lords, raised a revolt against this noble event. The members of the upper class even called him Pulaiyan Ayyappan. Sohadaran Ayyappan took these abuses in a light vein and considered them as his honor. From that point in time, he came to be known as Sahodaran Ayyappan. Right from the childhood, the inquisitive mind of Sahodaran Ayyappan was searching for the eternal truth, which went beyond the caste, religion and other dogmas that affected the social life. In this search of truth, he realized that the real truth is beyond the scope of the religions of the time. Hence, he became a staunch rationalist and disbeliever of the God. In order to tell the world what he had learned during this search, he launched a magazine by the name Yukthivadi in the year 1928. In that magazine, Ayyappan wrote a caption that read as "Yukthiyenthi manushiante budhisakthi-ghanichathil-labhichathallallathillonum-lokhavijnana rasiyil". Despite such atheism, his love and respect for Sree Narayana Guru never waned in his life. While Ayyappan was spearheading the agitation, the thought of bringing change in the mindset of people grew passionately in him. So, he advocated for bringing the radical reforms in the social sector that aim at the improvement of the lifestyle of the people from the oppressed section of the society. With this aim in mind, Ayyappan started a journal with name Sahodaran from Mattancherry. This magazine continued printing his works such as articles and poems until 1956. Being a rationalist, he coined a slogan, which is a rejoinder to the famous slogan of Sree Narayana Guru. The rejoinder slogan coined by the Sahodaran Ayyappan was "Jati Venda, Matam Venda, Deivam Venda Manushyanu". Through his relentless works for bringing the reforms in the society, Sahodaran Ayyappan laid the groundwork for his stint in politics. Through his selfless works and clean personal life, he became the darling of the people in the region. His magnanimous personality could evoke the interest in the minds of the people across the political spectrum. Hence, he got elected to Cochin Legislative Council. He remained the member of the council for about 21 years. During this period, he showed to the world that he was committed to the cause of the neglected people by supporting legislations that help the people of lower caste. On one such occasion, he demanded legislation be brought to the floor of the house to support inter-caste and love marriages. Sahodaran Ayyappan served as a minister twice in Cochin Legislative Council and once in Thiru-Cochin Legislative Assembly. Initially, he was appointed as a minister by Maharajah of Cochin in the year 1946. However, he could continue as the minister only for a shorter period of time due to his resignation from the panel of ministers. Being a man of high personal integrity, he resigned from the ministry in protest against the alleged use of police force by then Home Minister T.K. Nair to quell the labor struggles and other popular agitations of the time. 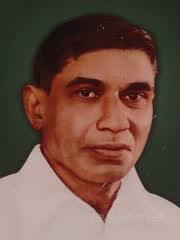 In the subsequent elections in the year 1949, the Prajamandalam Party headed by Sahodaran Ayyappan secured the overwhelming majority in the Legislative Council. After tasting the success in the election, he formed a government with the help of Panampilli Govinda Menon and C.A. Ouseph who were the leading political icons of his time. He was also a minister in T.K. Paravoor's ministry. Sahodaran Ayyappan was a social reformer, a thinker, a journalist and a politician of the highest order. Since he understood the meaning of the real truth, he was a rationalist and a disbeliever of the God. Because of these attributes, he was above the petty politics of religion and hatred. Sahodaran Ayyappan maintained an image of a clean politician and a hard worker. Hence, he could become friend with everybody, irrespective of their political and religious affiliations. Due to these qualities, he was elected to the Cochin Legislative Council. In the first stint at the council, he could create an impression that he wanted to bring some legislative reforms to help the people of lower caste. He was the member of the Legislative Council for a period of 21 years. In all, he served as a minister twice in Cochin Legislative Council twice and once in Thiru-Cochin Legislative Assembly.